Barcelona icon Lionel Messi is a doubt for Wednesday’s Champions League encounter at Celtic Park after illness ruled him out of the club’s encounter with Malaga yesterday. The Catalan club’s record goalscorer – who has notched 469 goals, 16 of them this season – went down with a vomiting bug only hours before kick-off. With Luis Suarez missing through suspension, Messi’s absence was keenly felt as Barca failed to score in a La Liga match at the Nou Camp for the first time in 32 league outings. That run stretches back to February 2015, when Malaga again thwarted them to earn a shock 1-0 victory. Yesterday’s draw means that Luis Enrique’s side remain second to Real Madrid in their pursuit of a third consecutive title – a feat they have achieved only once before. Messi’s condition will be monitored for any possible contagious element before Barcelona fly into Glasgow on Tuesday for a fifth tie in Group C that they require to win while staying top of the section ahead of Manchester City in order to remain on course to claim top seeding for the knock-out stages. The Parkhead fixture, which will see Barcelona pitch up in the east end of Glasgow for the sixth time since early 2004 – and the third time in little over four years – is likely to see Celtic manager Brendan Rodgers be without striker Leigh Griffiths. 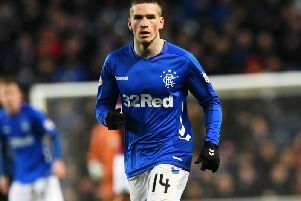 The 25-year-old missed the club’s 1-0 win at Kilmarnock on Friday night with a hamstring injury he sustained in Scotland’s 3-0 defeat at Wembley a week earlier. “He’s touch and go,” said Rodgers. “We’ll just see how it goes over the next week. City, meanwhile, saw Champions League outcast Yaya Toure mark his first English top-flight appearance of the season in style, scoring both goals as the Blues edged out Crystal Palace 2-1 at Selhurst Park.